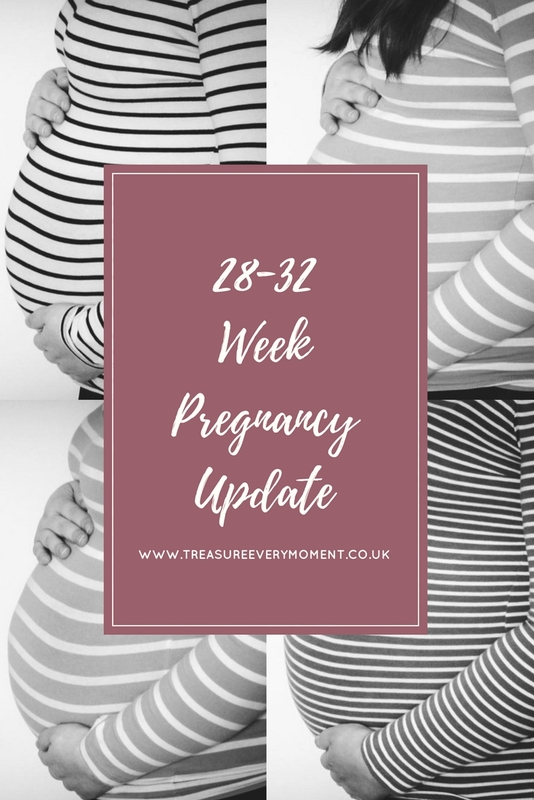 I haven't done a pregnancy update in quite a while, so I thought I'd write about what's been happening over the last 6 weeks. 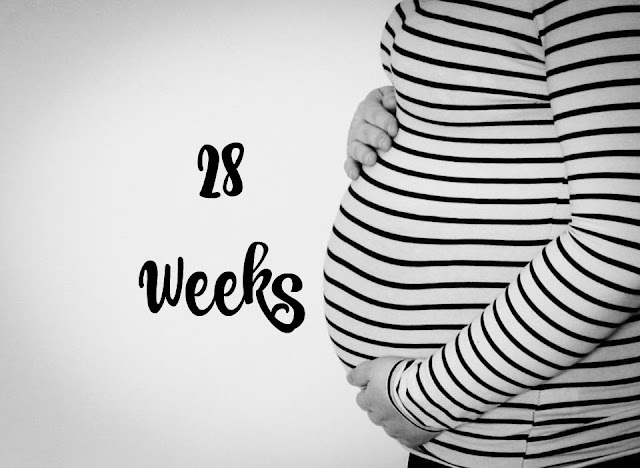 Life has been extremely busy recently and getting time to write the weekly updates became too much, however I have continued to take weekly bump photos. It's fair to say that my bump has done a whole load of growing, though I am convinced I'm smaller than at this point with Isabella. 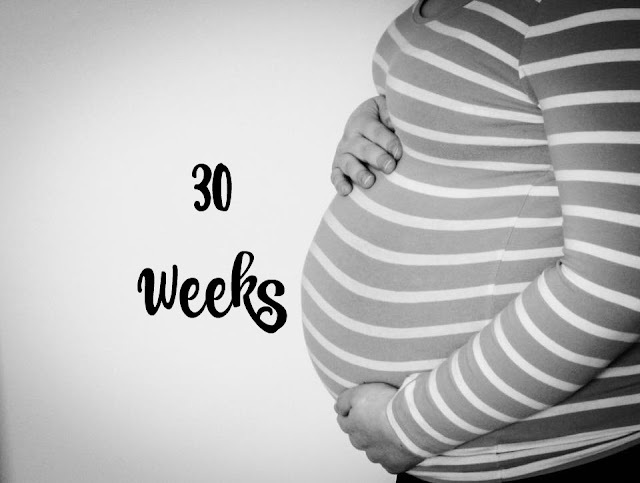 I've compared my bump photos from each pregnancy and I certainly look smaller this time, but according to the midwives I'm measuring 1 week ahead. 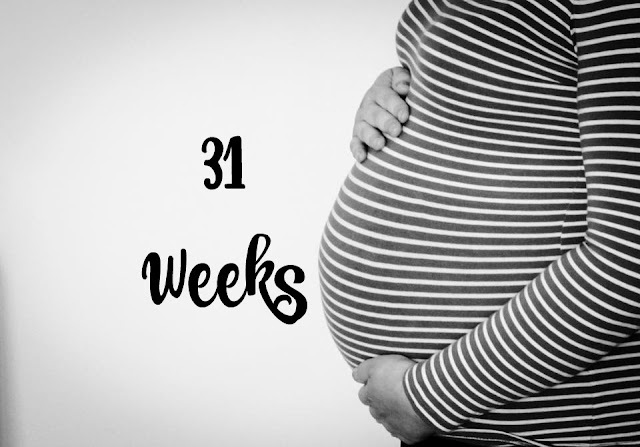 When I was pregnant with Isabella my bump always measured exactly what it should do - 32cm at 32 weeks etc, however I'm now measuring 33cm at 32 weeks. It's nothing that they're concerned about, but it does make it strange that I feel smaller. Perhaps it's because I know what it's like to have a bump this time around so it doesn't feel so big and unfamiliar. Movements have become a lot more intense and instead of kicks they're now whole body movements. It's such a surreal feeling when she bumps into my hip bones or swirls under my ribs, things aren't too uncomfortable yet so I'm really enjoying it. I've heard the baby's heartbeat a few times now and managed to record it for my husband to hear. I didn't ever record the midwife listening to the heartbeat when I was pregnant with Isabella, but they were more than happy for me to film it so I wish I had last time now! 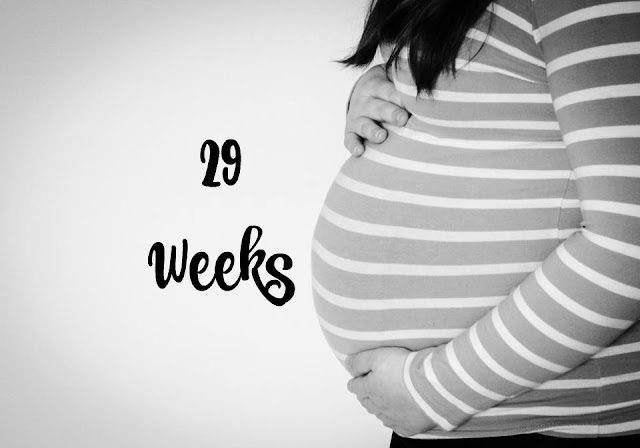 The biggest pregnancy symptom that I've been struggling with for a few months now has been trapped nerves in my lower back. It sends an incredible shooting pain down my left (and sometimes right) leg, which quite literally has me yelping in pain at times. If I've been sitting down or walking around for a while then when I stand up/stop the pain can be awful. I know it's not the worst thing to be experiencing, but it has made moving around and getting jobs done really tricky. Getting up and down stairs, carrying Isabella, leaning over, being on my feet for a long time etc. can all aggravate it, making it almost impossible to move for a few minutes. I've been recommended to go to a physio, but there simply isn't time in my week so I'm just trying to get on with things. Something I wrote about a lot in my last weekly updates was heartburn, which I'm thankful has almost disappeared. I'll still have it every now and again, say once a week, but nowhere near as bad as it was earlier in the pregnancy. Yay! Heartburn I remember it well, glad to hear its easing now for u.
I'm sorry you're having trapped nerve pain in your back, I hope that eases up for you soon. I'm glad your heartburn has cleared up though, that was a killer for me. You are almost there. I remember my heartburn while pregnant. It was horrible. I could hardly eat. Ah yes, heartburn. I often say my little boy was made of veggie sausages and potatoes (which was all I wanted), and my husband says, don't forget the Gaviscon.I went through so many bottles of the stuff. Got to the point that I no longer measured it, just swigged from the bottle. So hopefully yours will stay away for now. Hope all keeps going well for you. I hope the last few weeks goes ok and the nerve pain doesn't become a problem. It's hard getting heavy towards the end! Not so long to go now! Sorry to hear you are having back pain, hope the pain goes away very soon.